Most wastewater streams must be disinfected to ensure the removal of pathogens prior to recycling or discharge to the environment. While there are several possible methods of disinfection, in many cases chlorination is the most appropriate and in these cases Electrochlorination is often the answer. 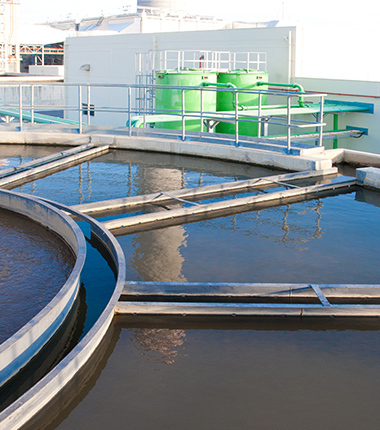 Recently, there has been growing interest in the use of Chlorine Dioxide for the treatment of Recycled Water and our range of equipment is well suited to these applications. Key reasons for the choice of OxiMax equipment are effectiveness, safety, reliability and relatively low capital, operating and maintenance costs. In many cases the natural salinity of the wastewater is sufficient (>500 ppm) to allow disinfection of the water simply by diverting a branch stream through the electrochlorinator and remixing the chlorinated water with the bulk flow. OxiMax MT or MC Series equipment is well suited to this application. This is based on providing bulk salt to a saturation tank and is the same basic system as is used for drinking water, although typically the dosage rates are higher. On Site Generation is ideal for sites where the wastewater salinity is low and/or dosing is required at several points. The OxiMax MA Series is well suited to high capacity systems and its modular design allows for simple system expansion and maintenance. For smaller commercial and domestic systems the OxiMax MM Series of mini on site generators are designed to disinfect reliably and economically EP (equivalent person) ratings in the range 10 to 10000. This system may well be appropriate if the wastewater treatment plant is located near the sea, or near a brackish water river or lake and the discharge is into that body of water. The principal of this system is to draw a constant flow of this saline water through the Electrochlorinator to generate a low strength hypochlorite solution, which is then injected into the wastewater. The economics of this innovative system are excellent compared to any other disinfection system and the OxiMax MT and MC Series are well suited to this application.